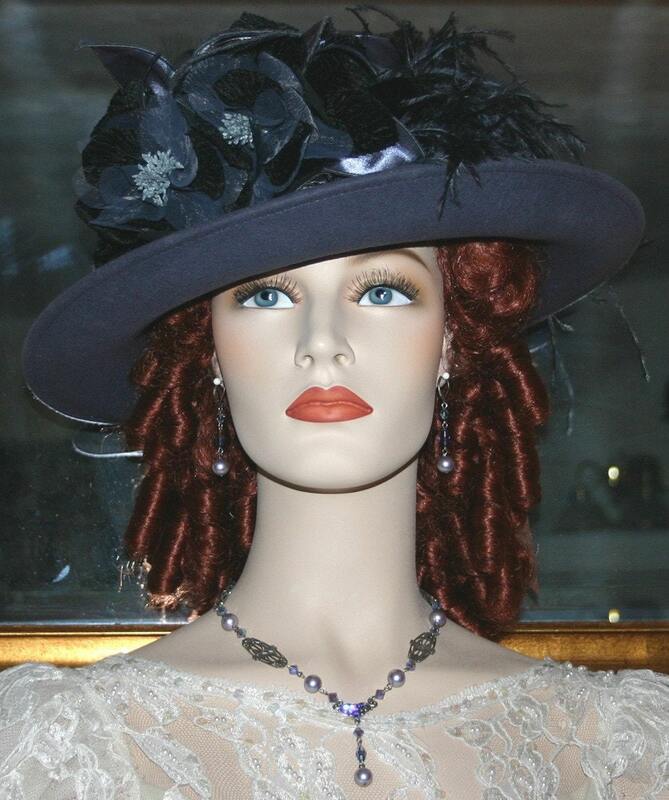 "Lady Ashcroft" Edwardian hat Downton Abbey hat is designed over a soft gray wool hat. 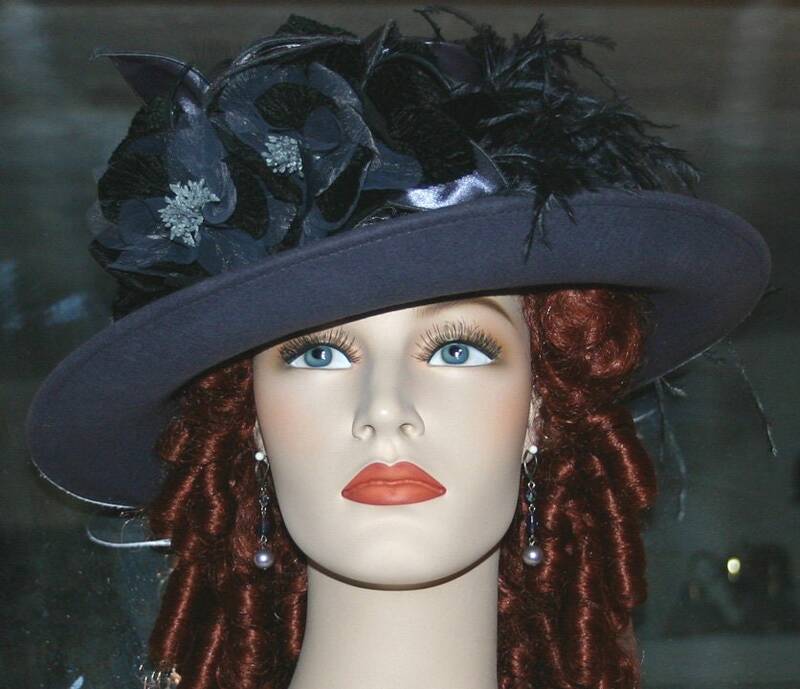 The crown is wrapped in gray satin and the embellishment on the hat is gray satin and black velvet and gray organza roses accented with black velvet leaves. 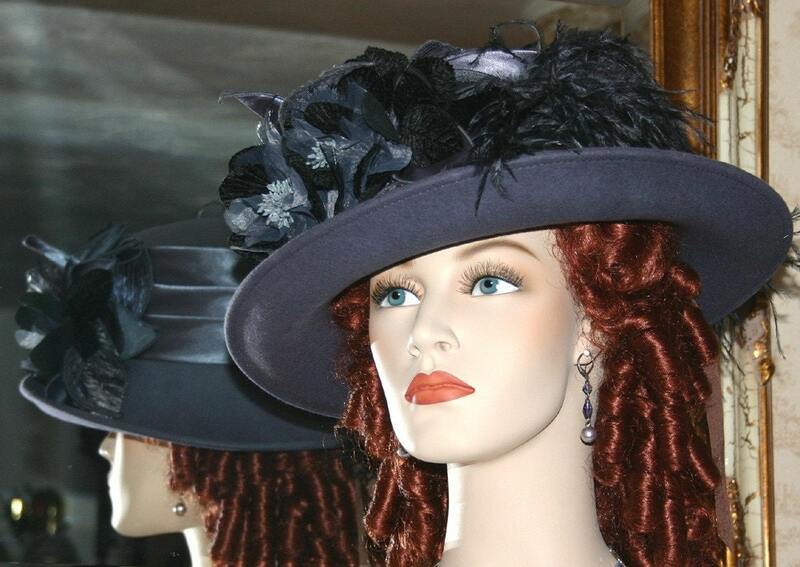 Two beautiful black ostrich feathers sweep around the cavalier shaped brim. 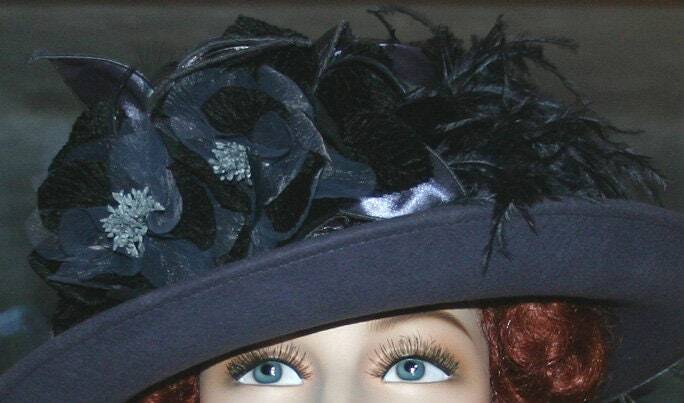 Very beautiful hat perfect for church, wedding, winter weather and even the "Presidential" inauguration. 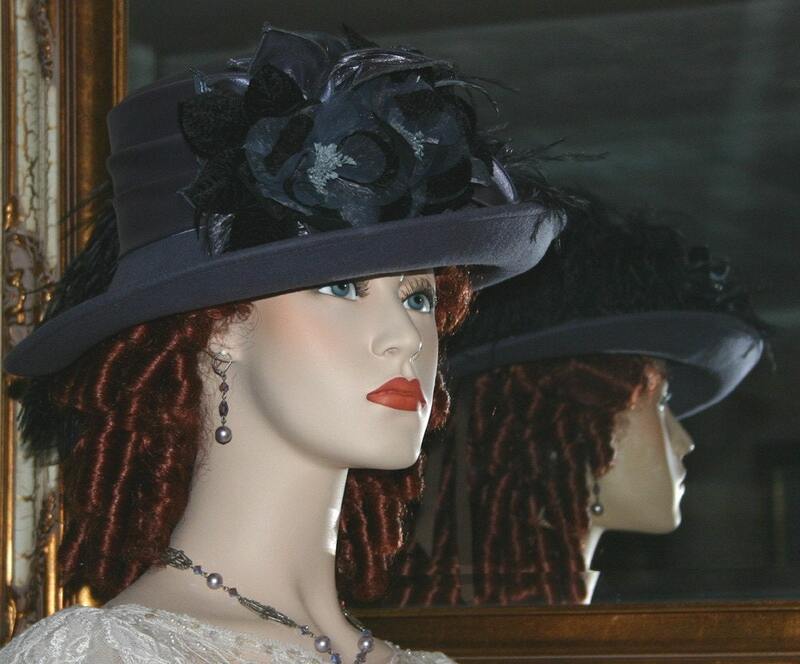 This hat size measures 23 inches and has a built-in hat size reducer so it can be made smaller for a perfect fit. Please see instructions below: How to measure your head. One of my new favorite hats! !